Tens of thousands of women almost die each year in the United States while giving birth. 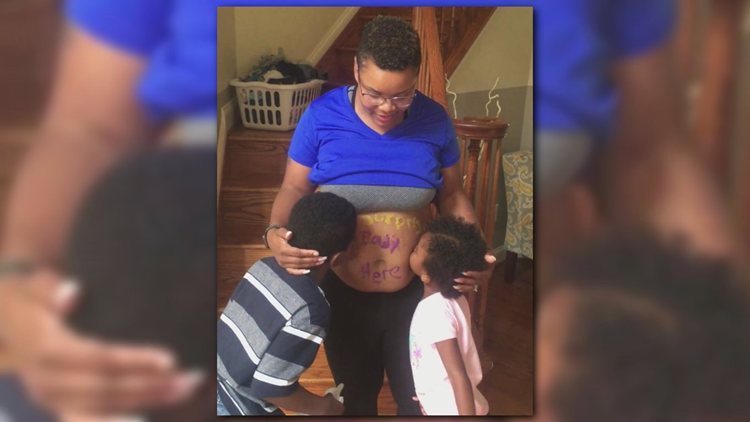 Ceceria Harris and her first two children pose for a photo before the birth of her third child. 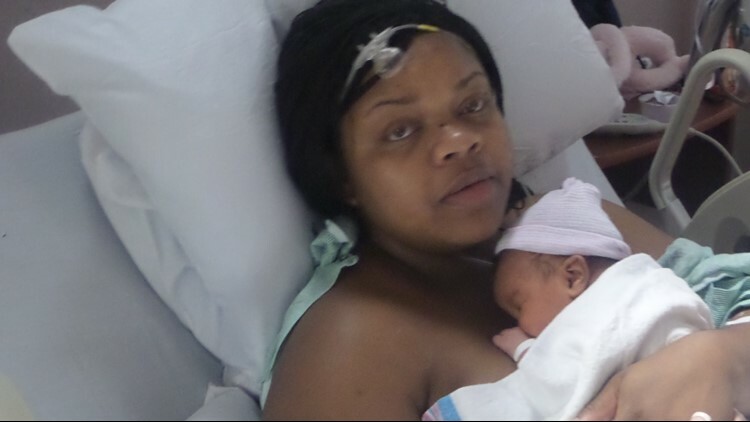 Ceceria Harris holds her newborn after hemmoraging during her childbirth. 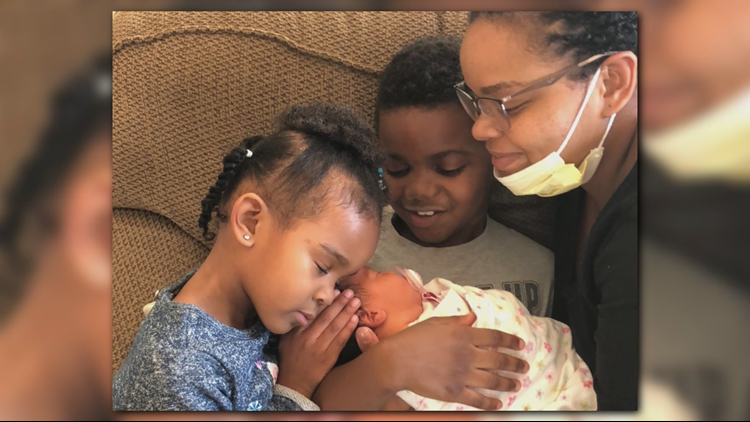 Ceceria Harris snuggles with her three children after almost dying during childbirth.